Good morning class. Welcome to round three of Alphabe-Thursday! I also want to let you know that each week I visit every blog. If it appears I haven't visited your blog by the following Thursday morning, please let me know! I've posted... gots ta come back to read laterz tho:-) Can't wait to see what everyone comes up with! had some trouble linking in the second link, but glad to see it in already. Beeee~autiful!!! B is for boat to get around on the Ponderosa!!! 14 inches of rain, we're flooded! wrote something short for B. hope someone enjoys it. 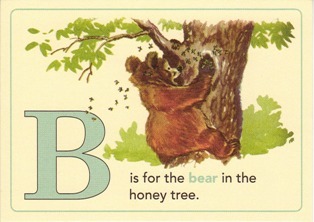 I hope you are having a "B"-eautiful evening!!! U R 2 sweet 2 B forgotten! Happen "B" post!!!! i was SO totally gonna do a for the boys post to balance out my g post from last time (for the girls and the gulf of mexico), but alas, i didn't get it written. sowwy. Bloopers, Blunders, and Bleeps post. Thanks for the fun meme! This is my first week, but I know I'll be back! I've been saving my B post since March! So weird--Blogger posts my comments from Millie (blogger account) instead of my blog (http://edenhills.wordpress.com). I am commenting, but it is as Millie. Hi!!! Sorry that I am once again back to my old ways! Actually, I really don't want to be at the end of the roster!!! But...I'm glad that I made it, without having to request an extension to slip through the classroom door! Wow, I visited my ten! It's kind of appalling how many people don't even bother doing the minimal request of addressing a post to the letter of the week. I had 2 or 3 in my group that didn't even try. I know I'm not the alphabet police, but c'mon people! Saturday Centus - Happy Anniversary, Man! Hi me! Nice to meet me! NOT the next Food Network Star! Can we talk about Cheerios for a second? A movie review to start your week! Saturday Centus - Shake 'em up, up, up! Random Ramblings of a totally behind mind! Excuse me, are you sure it's Monday? An epic poem in honor of April Fool's Day!